Good Manufacturing Practices (GMP) is a pre-requisite programme for ensuring that products are consistently produced and controlled under good hygiene practices to achieve the expected finished goods outcome. The main objective of implementing GMP is to minimize risks for the company that could affect the food safety and quality of the finished good. Key GMP element covers vendor assurance programme, quality control of ingredients, premises infrastructure and equipment maintenance, pest control, cleaning and sanitation of work environment to personal hygiene of staff. E.g. plant cleanliness and hygiene - manufacturers must maintain a clean manufacturing area, and pharmaceutical manufacturers must avoid cross-contamination between drugs to ensure the safety and effectiveness of their products. Many countries have legislated on the manufacturers to follow GMP procedures that correspond with the required national legislation. In Malaysia, companies manufactured food, cosmetics, pharmaceuticals, dietary and traditional supplements are required to have GMP system to certify by Ministry of Health Malaysia for them to operate the business. Malaysia Standard GMP provides minimum requirements that a manufacturer must meet to assure that their products are consistently high in quality, from batch to batch and for their intended use. Principle 1: Conduct a hazard analysis. Principle 2: Determine the critical control points (CCPs). Principle 3: Establish critical limits. Principle 4: Establish monitoring procedures. Principle 5: Establish corrective actions. Principle 6: Establish verification procedures. Principle 7: Establish record-keeping and documentation procedures. HACCP can be applied to all processes throughout each and every stage of the food supply chain. This includes production, preparation, packaging and distribution. 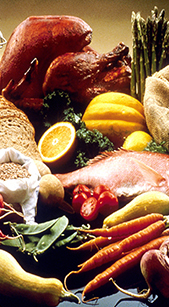 As a food safety initiative, HACCP is a preventative system. It focuses on potential physical, chemical and biological hazards that could occur during the food manufacturing process and make the end product unsafe. A fundamental aim of the HACCP principles is to discover any potential hazards so that control measures can be designed. If necessary, these control measures would be put in place and reduce the risk of the hazards occurring. To provide initial assessment of clientâ€™s facility to determine their needs and the requirements for GMP/HACCP. Toassist in creating a work plan for developing and implementing a food safety system including development of a record keeping system. To develop a GMP programs and monitoring on the system implementation. To provide training on HACCP to provide an overview of the purpose and requirements of a HACCP certification scheme. This training also covers the Codex Alimentarius Commission Good Manufacturing Practices and preliminary steps to full HACCP systems. To assist with the preparation for auditing by carry out Internal/Adequacy Audit. To examine the contents of the HACCP Manual and supportive documents submitted and to verify that all elements of the HACCP has been addressed. To provide maintenance program of your GMP/HACCP system. Copyright © 2008 - 2009 Central Advisory System Sdn Bhd (781111-P). All Rights Reserved. Best viewed at 1024 x 768 resolution with IE 5.x.